One of the most overlooked ways to obtain links to your important pages is from other pages on your own website. The majority of the SEO industry has no idea that this “trick” exists. This isn’t necessarily a trick, though. You SHOULD link back to important pages, especially if you’re providing a product or service which you’re selling, for obvious reasons (such as navigation). As someone who has been putting content online for 25yrs, I can promise you that this is nothing new. I’ve been building up the power of internal pages on websites since I discovered it helped. We’re talking 2005 or earlier here. 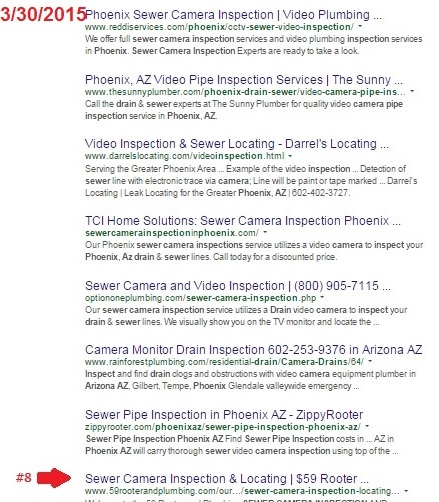 In March of 2015 someone contacted me who had been following the Telapost blog and began blogging on their website after I alluded to it helping their organic rankings. 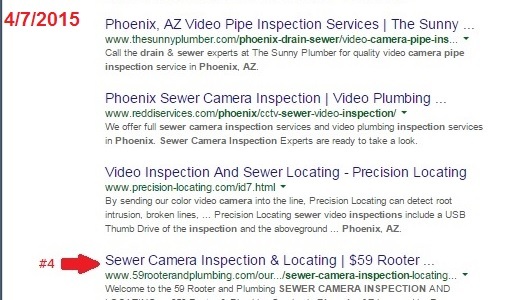 Their target page was a page called “Sewer camera inspections Phoenix AZ”. I decided to take some screenshots of their journey. The site was not obtaining any new backlinks during the experiment and had received none in a good year or two before the experiment as their previous SEO company was doing nothing other than running their credit card every 30 days. The target page was static and didn’t change. During the experiment, there were no major core changes to the Google algorithm. Basically, nothing changed other than they began blogging, and each blog linked back to the target page. In total, there were a dozen articles created during this time. March 30, 2015. Page 1, result #8. April 7, 2015. Page 1, result #4. April 30, 2015. Page 1, result #3. May 31, 2015. Page 1, Result #2. As you can see, the internal, related content containing an internal, relevant backlink did indeed increase the page’s rankings. Having content alone will not make your target pages rank better. 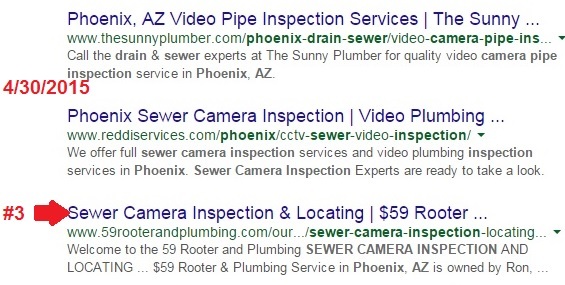 Websites do need external links to rank. But if you have a page which is already somewhere on page one and you’re having a tough time building links to it or gaining them naturally, additional content will help. Some people like to “silo” their content. In my experience, this is nice but the overall hierarchy isn’t as important as many people make it out to be. Of course, if it improves user experience, by all means, go for it. Regardless, when you add silos (pages with many sub-pages) you are essentially adding more content – it is just on a “page” instead of a less organized “post”. I personally silo content in many cases but I’ve done it both ways many times and have yet to see a drastic difference in search results. 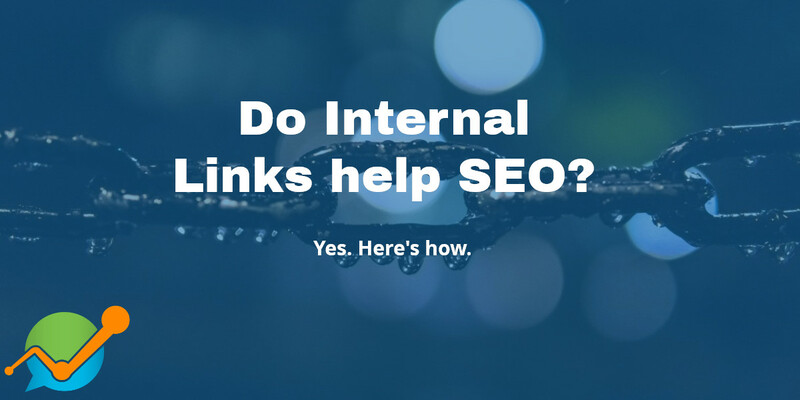 Regardless, internal links will only get you so far. If you’re in a tough niche, content may be mandatory, and if you’re in an easier niche, you may not need supplemental pages at all. Every case is different, and again, if it is good for the user it is probably good for search engines (who want to deliver a good user experience to THEIR users). There are a variety of factors at play here, including the quality of the content linking back to the target page. But the big one is topic authority. Difficult to pinpoint is something I call topic authority. When I say topic authority I am referring to the relevance of the content on a domain. As a very brief and random example, if you own a high ranking Ford Dealership and suddenly add a page about popcorn to the website, the “Popcorn page” just isn’t going to rank well. But if you add a new page called “Ford Mustangs in Los Angeles” it may spring right up at the top of page 1 in 4 or 5 minutes. That is topic authority. The amount of content on a domain may impact topical authority as well.